I grew up in the church. But in recent years I've found myself caring less about many of the issues I used to think mattered so much. I’m not just apathetic about them, I’m passionately apathetic. Apathetic enough not to care. Passionate enough to write about them anyway. I’m not even upset about them. It's more about setting priorities than being right or wrong. Some are church-and-culture issues. For those, you can read Six Church-and-Culture Issues I Don't Care About Any More. Some are church-insider issues. That’s what today’s post is about. These are issues that church insiders care a great deal about, but outsiders (and most regular church folks) don’t care about at all. I’ve decided to join them. This should come as no surprise to anyone who has read The Grasshopper Myth or my blog posts. I used to care about church size. I worked really hard to get my church to grow, then felt completely devastated when the promised results didn't materialize. I truly have no preferences on church size. Big churches aren't better than small ones, or vice versa. 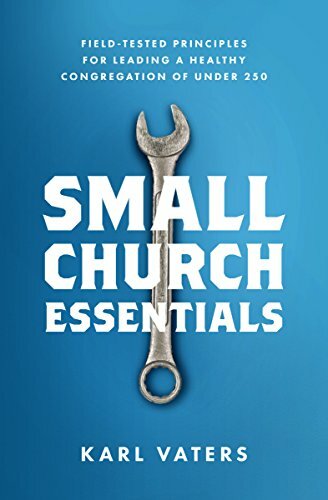 I write about and for small churches, not because they're better, but because they’ve been under-resourced and I want to help. But the argument over which is better? I don't care any more. If you worship Jesus, honor scripture and love people, that's all that matters. Does your church like using candles in worship? Light them. Raising your hands? Lift them. Loud music? Turn up the volume. Quiet, contemplative prayer? Dim the lights. Baptists should worship like Baptists. Pentecostals like Pentecostals. Lutherans like Luther. Methodists methodically. The same goes for distinctives of culture, race, ethnicity, age and so on. You honor Jesus in your way, I'll honor him in mine. When I visit your church, not only will I not try to change you, I'll probably enjoy the differences. When you visit ours, pay us the same respect. If we're worshiping the same Jesus, we should be able to work together without arguing over cultural distinctives. If we're not worshiping the same Jesus? I’ll leave that to Jesus.